Do you use social media to capture leads in your market? 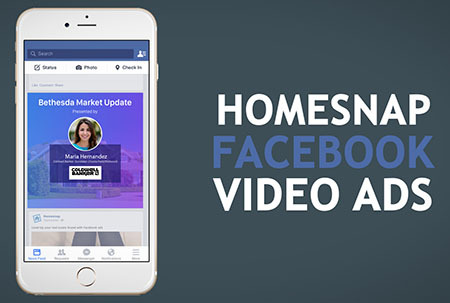 Homesnap just launched a valuable new marketing tool for agents: automated Facebook video ads. These personalized dynamic ads target specific zip codes so you can effectively engage potential clients in your farm area. Facebook Video Ads are not a core service — prices start at $3 per day with a minimum of $90 per month needed to be spent. The more money spent, the more the ZIP Code will be saturated. When building the video ad, you’ll be able to toggle back and forth the spend amount to see the increase or decrease of clicks and views for the video ad. It takes less than 5 minutes to customize and set up a campaign, and then Homesnap takes care of the rest from there! Click here to browse the ads they created for you. To compare the features of the Homesnap Pro, HomeSpotter (formerly the NorthstarMLS app) and Matrix Mobile to see which one might be more beneficial to your real estate business, check out our handy NorthstarMLS Mobile Comparison Chart. ‹ Don’t Risk a Copyright Lawsuit!